Names travis, ive been in the whole offraod scene for 21 years going on 22. i was basically born into the sport. heres a lil about myself, i grew up offroading with clubs such as corva,american buggy association, and four wheeling fouls. i've helped put on many events from the three club. i just recently purchased a 1969 baja bug on easter of this year. i previously have had a toyota tundra and my last was a toyota tacoma. 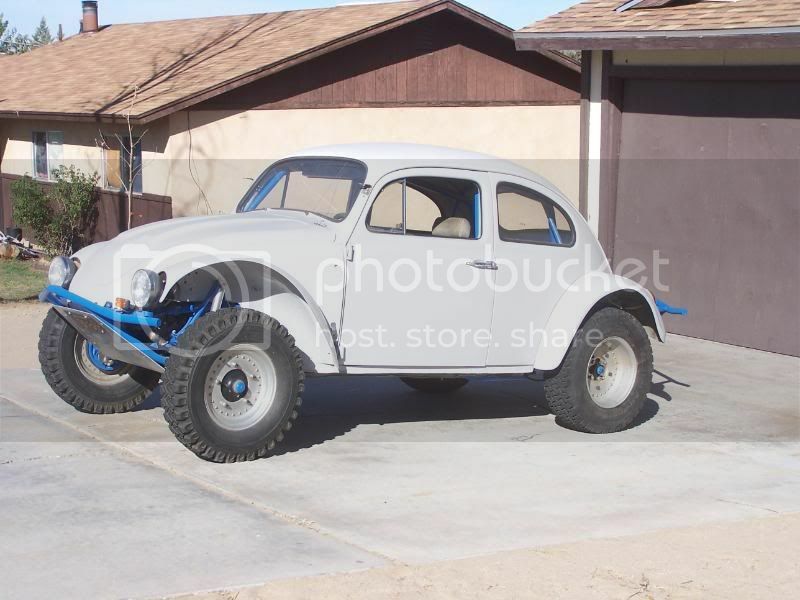 i just did a search for baja bug and this site was one that came up. so i joined so i can learn more about my ride and things to do to it. im a member at socaltundras.com , and dezertrangers.com so im more familar with that area of vehicles. welcome to the site, it sounds like you already have a leg up. but there are alot of knowledgable people on this site so you will find most any answer. how can i upload pics on here? i put 2 in the baja album. im a good friend of the family with jeff fields (transaxle engineering) and just met my neighbor 2 streets over rick crum(crumco motorsports). This is the place to ask your questions.. Lots of knowledge here.. I believe we've met. I'm the Tech Inspector guy you talked to at Lucerne a couple years ago. By the time I had free time, I didn't have your contact info. I live on 161st St. I'll PM my contact info to you. We should get in touch. I'm getting involved with Rick Crumb and his Baja Bug deal. I'll be working Tech at Glen Helen for the Short Course races this Saturday. Look for my pale gray Baja with bright blue bumpers and cage rolling on Centerlines around town. PS...I still have the red Toyota PreRunner truck too. Welcome to the site! Post up some pics of your ride when you can. And next time you stop by my house...Leave an address and a phone number. I don't see any Bajas on your block when I cruise through. I've been through there several times since you started this thread. I'd be willing to help you out, but if I don't know how to get in touch, I'm not going to be able to. i keep my bug in my backyard its in the witness protection program lol. ur best bet to reach me would be over at crumco's . im still trying to upload pics of my bug and the few parts i already have. Come on out to the race at Glen Helen this Saturday. I'll get you in if you ride with us. If this were last week, I could have gotten your name on the list as a Tech worker, but too late now. It's $10 to get in for the day. Just bring a small ice chest with food and drink for the day. sounds good, whos putting on the race? Maybe I'll check with you tomorrow at Crumco. VW Volkswagen & Baja Bug General Discussion New to the AZ scene 11 Ty-Bot 5477 Thanks everyone!